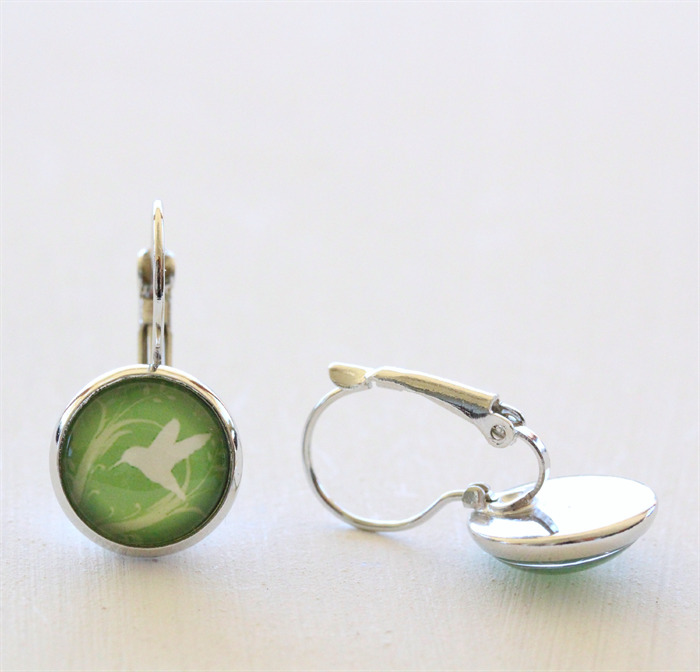 These gorgeous earrings feature a 12mm glass dome cabochon with a white flying bird on a green background on rhodium finish french earrings. 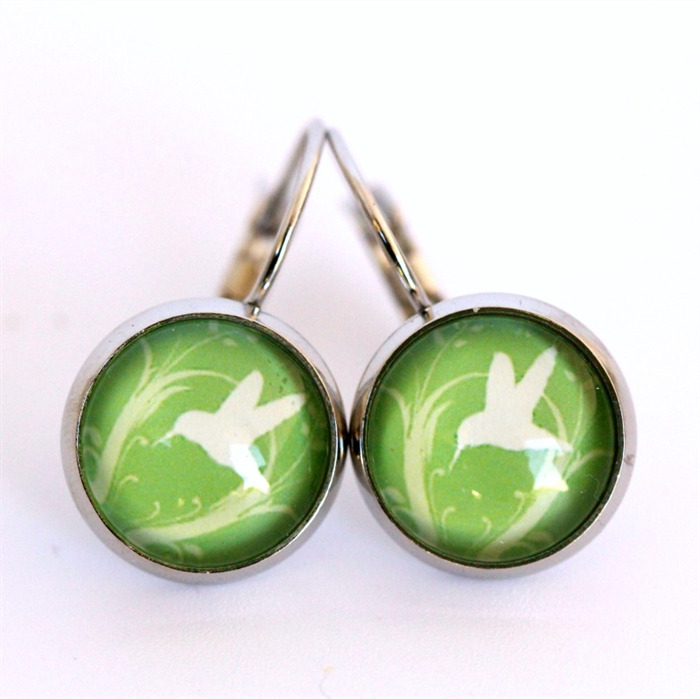 These earrings are also available in an antique bronze finish. 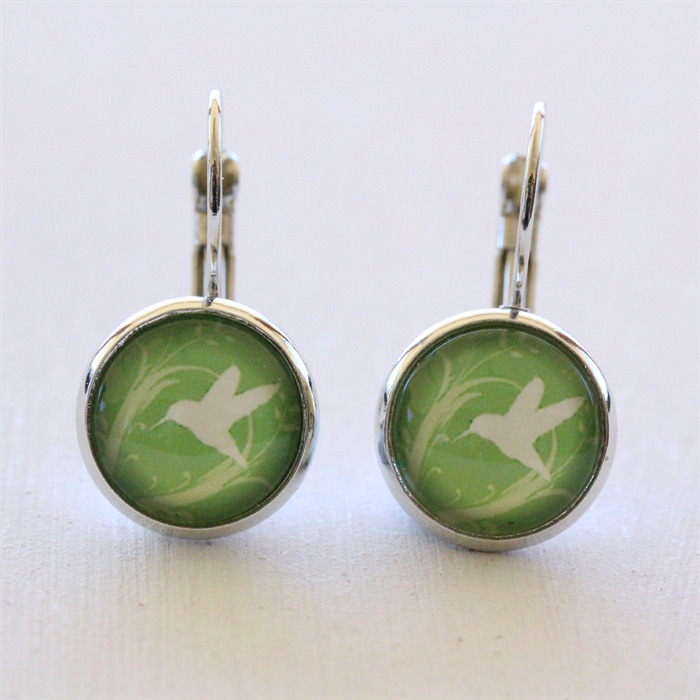 Please see my store for this option. Additional fees apply if you require tracking of your parcel or express post. Parcel post which includes tracking is $8. Parcel post with signature is $10.40. Parcel post with signature on delivery and extra cover for loss or damage is $13.15. Standard Express post is $10.85. Please note express post is only available within the express post delivery network (see Australia Post website for details).